The Lean Business Report was the first report of its kind to offer insight into how Lean is applied across all disciplines of knowledge work. As part of an ongoing effort to establish LeanKit as the foremost expert in the Lean for business space, I was asked to create an ebook that demonstrated how Lean was being practiced across various industries, team types, and disciplines. I began by surveying over 3,000 people practicing Lean. I then worked with LeanKit's data analyst extraordinaire, Dietke Fowler, to mine the data for the most valuable insights from our research. I outlined the entire ebook, then worked section by section, completing the copy and handing it off to talented designer Shane O'Brien. I wrote the majority of this piece, with careful, thoughtful editing from other marketing team members along the way. The entire process of writing, designing, editing, and printing the ebook took around six weeks, a record speed for long-form content creation at the company. 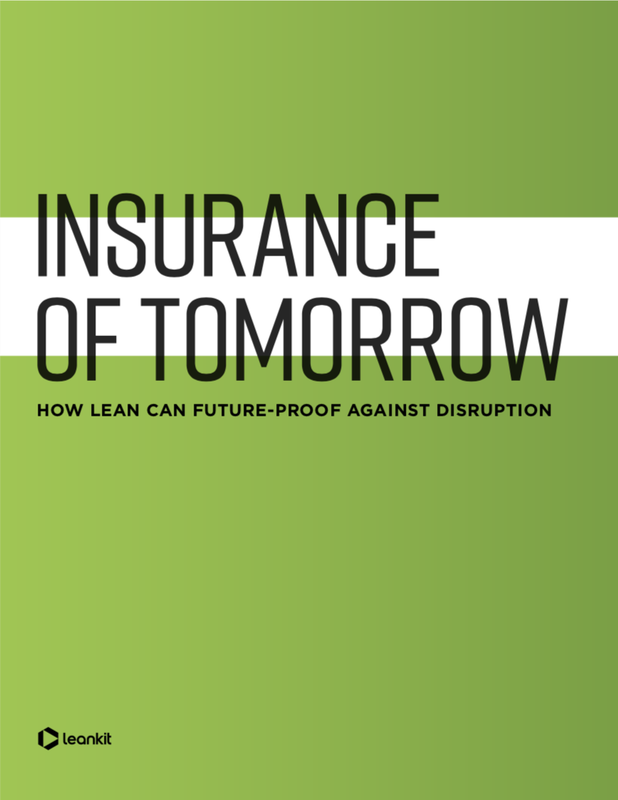 A comprehensive look into how Lean thinking is shaping the future of the insurance industry. Continuous improvement is a key ingredient in any Lean transformation - organizations and the teams within them need to learn to embrace a growth mindset in order to sustainably deliver value to their ever-evolving customers. But as excited as executives may be to drive their organizations into the future, teams are often reluctant to embrace the uncertainty of evolution. One of LeanKit's top enterprise account executives asked me to write a blog answering a question he heard all too often from executives: What do we do when teams don't want to embrace continuous improvement? This blog post has been one of the top three highest performing articles of 2017 for LeanKit. When LeanKit made the strategic decision to remove its calendar view feature (in favor of Leaner methods of workflow management), we knew we'd have to be prepared to respond to customers who'd grown accustomed to using their feature to manage their workflows. We needed to be proactive about educating customers on the many ways they could use LeanKit to track time-sensitive work without the calendar feature. I worked closely with product marketing to ensure the tone of this piece would be helpful, transparent, and insightful for customers. Writing for SEO is a delicate balance of meeting requirements for the positioning and volume of keywords, while also creating content that is insightful, inspired, and engaging. This piece, which I wrote for the keyword "Lean books," was a great example of how a piece written for SEO could be lively and engaging. It became one of the highest-performing posts on the LeanKit blog in 2017. For about a year, I managed a food blog called Maja Cooks, in which I shared tips, how-to's, restaurant guides, and recipes for living a paleo lifestyle. This list of kitchen "hacks", featuring one of my proudest accomplishments in life (my hyper-organized spice drawer), was my highest performing post. Today, I share my love of food in a more digestible format: Instagram. Work-in-process (WIP) limits: Fixed constraints that enable teams to be more productive, focused, and aligned. I use them to produce high-quality, SEO-optimized educational content quickly and effectively. Based on conversations with our sales team and an analysis of the performance of past WIP limit-related content, it was clear that there was a need to revitalize LeanKit's library around the topic of WIP limits. 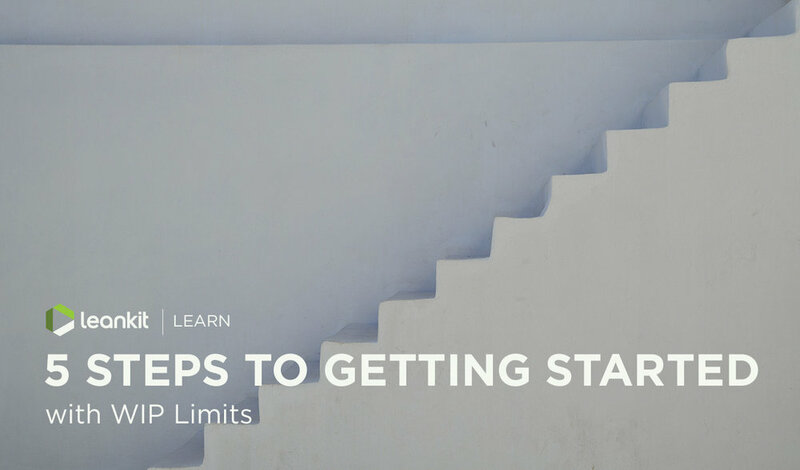 In a matter of two weeks, I created the following pieces to answer common questions LeanKit customers had about WIP limits.